Yaeyama Islands are a group of islands in Okinawa Prefecture, Japan, which form the southern part of the volcanic Ryukyu Islands. 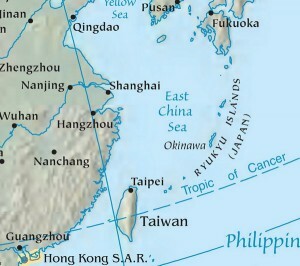 The isles are the remotest part of Japan from the main islands, contains Taketomi, Hateruma, Kuroshima and Kohama island. 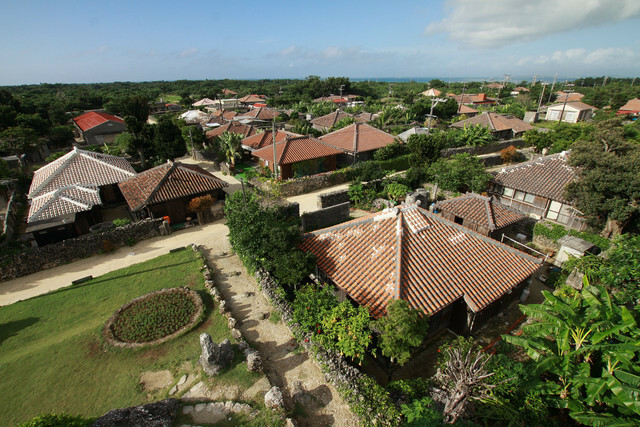 Beautiful nature and traditional Ryukyu style buildings and houses are still remaining, you can see amazing crystal clear waters all around the islands. 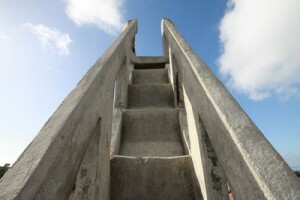 Calm and quiet atmosphere will make you get away from the noise and clamor of daily life. The writer of this article (the man on the photo above), one day went there and got across each islands by ship, seeing the beautiful ocean and taking a lot of photos. 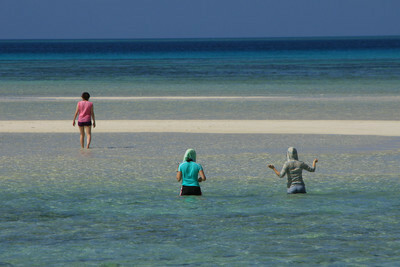 I would like to introduce his report for the each 4 island in four times as a series of “Yaeyama Islands Trip”. 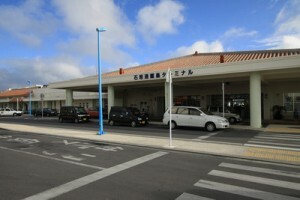 Terminal at Ishigaki island, the start point. 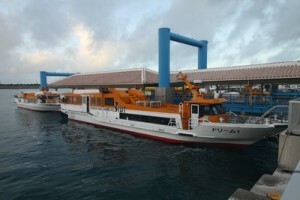 This high-speed ship takes you to the each Yaejima islands. 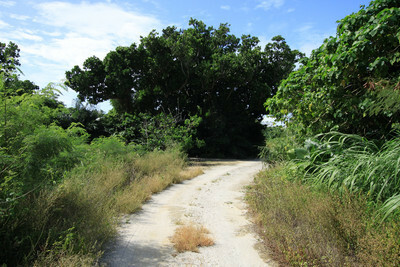 First one is Taketomi Island, the nearest island from the start point of Ishigaki island. 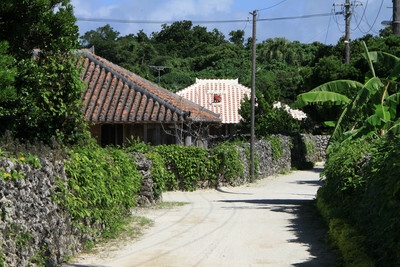 Taketomi Island is known as the island where traditional Ryukyu style landscape of the village still remains. 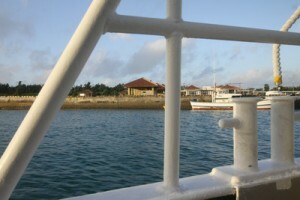 As it’s closer to Ishigaki island than the other islands, there seems to be many tourists on the island. 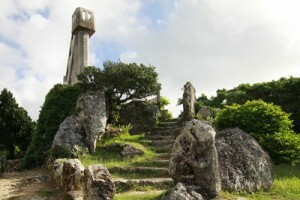 It took only 10 minutes from Ishigaki island. As he arrived there in the early morning, he could not use a bicycle rental service at the time.With no other choice, he walked to the entrance of a village. 15 minute walk from the terminal…. 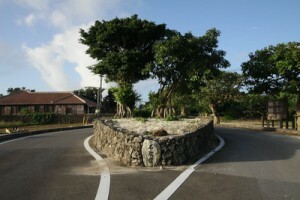 This is the entrance for the village. Great landscape of the village as he expected. 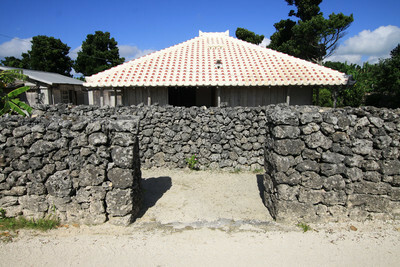 Long lasted line with coral stone wall, red tile roof mortared with white lime plaster made a beautiful traditional landscape of Taketomi island. 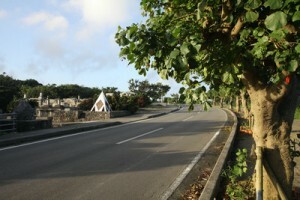 The road filled with white sand makes the green color of Garcinia Subelliptica tree really sharp. Red-white roof clearly defined against the blue sky. 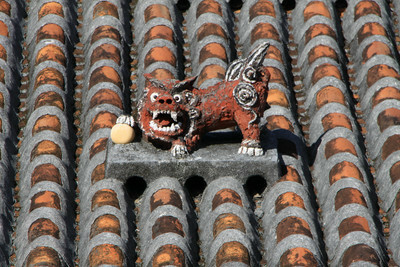 Shisa (guardian dog) sculpture is kind of cute! Typhoon often comes from all directions and hits this area, so the style of house is basically one-story square house. You can see a grandstand view of west part of the village. 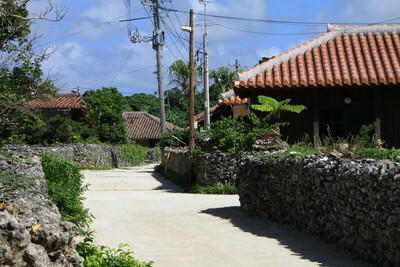 It’s really good to walk around the traditional village, but also you can enjoy the another side of the island around the beach. You can see this wonderful view! You are coming close to a “Paradise on Earth”! 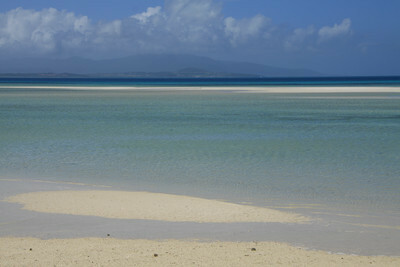 The name of the beach is “Kaiji beach“, locates at southwest part of the island. You can walk this far in the sea. The writer also tried to walk in the sea. 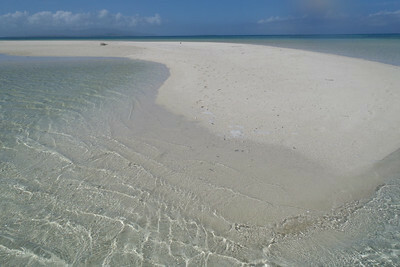 A little walk in the sea will bring you to a small island with white sand. 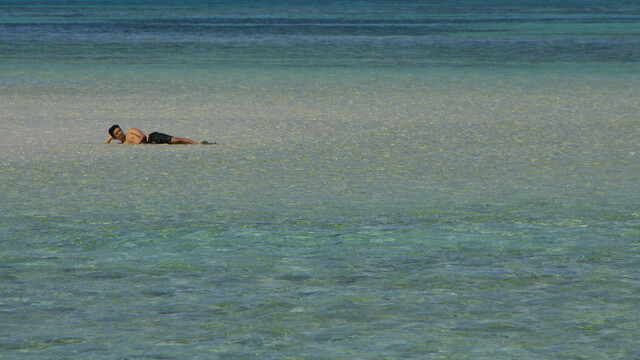 After going forward in the clear water, he arrived on a small white sand island. There were some people on the island before, but when he landed, nobody was there. Beautiful blue sky and blue ocean with white sand gave him the happiest moment in his life. Though only thing he regretted was that he didn’t bring his bathing suit, he felt so happy to be there. 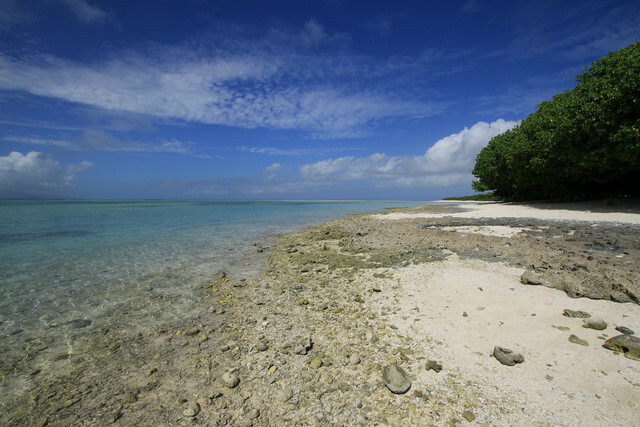 Now we have seen his report for Taketomi Island. What do you think? I’ve never been such a beautiful place, so I would like to go there someday.